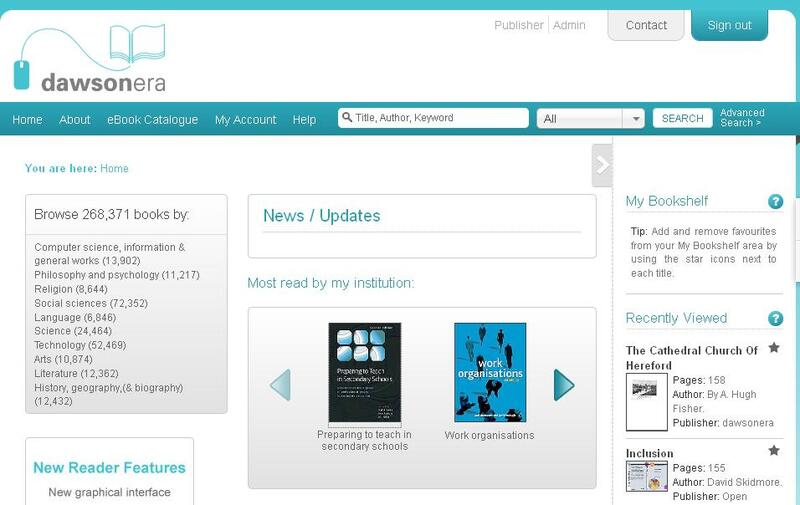 Dawsonera have launched their v5 Online Reader which offers a host of new features and enhancements. 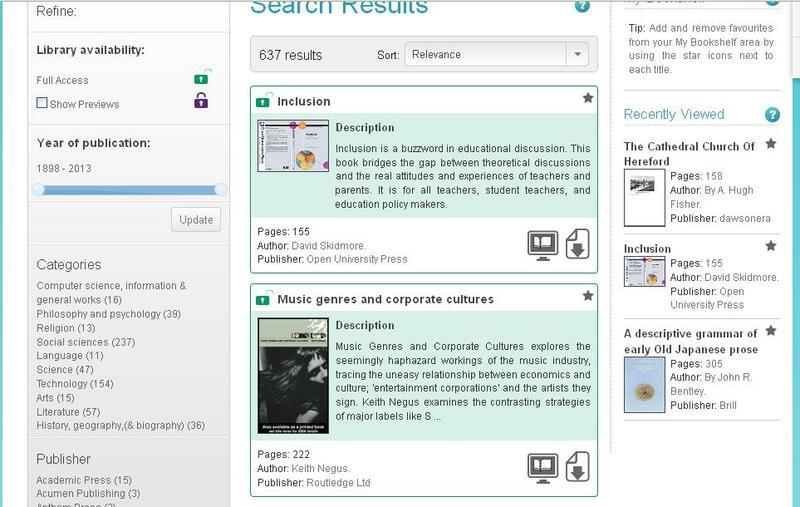 The new platform offers full screen reading by clicking on the ‘expand’ icon on the right hand side above the book details. New features include enhanced navigation using the table of contents and full text searching with hit highlighting (if your search does not highlight the keywords in the text please check if the ‘highlight’ option is selected). By clicking on an entry in the results list in the left pane of the platform you can jump to the point in the text where the search term appears. The notes tab allows you to add notes to a pane at the bottom of the screen and a list of the notes you have created will appear on the left hand side of the screen. You can export these notes as a text file. You can share your notes, as the Online Reader can create a code for you to send to other users who will then be able to see your notes. 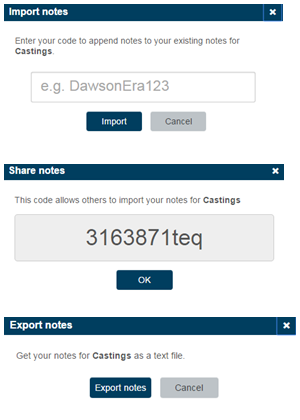 You can also import notes from others by entering their codes. Citations can be exported to both RefWorks and EndNote. Other resources will be added in the future. Previously on the Dawsonera platform it was only possible to print one page at a time. 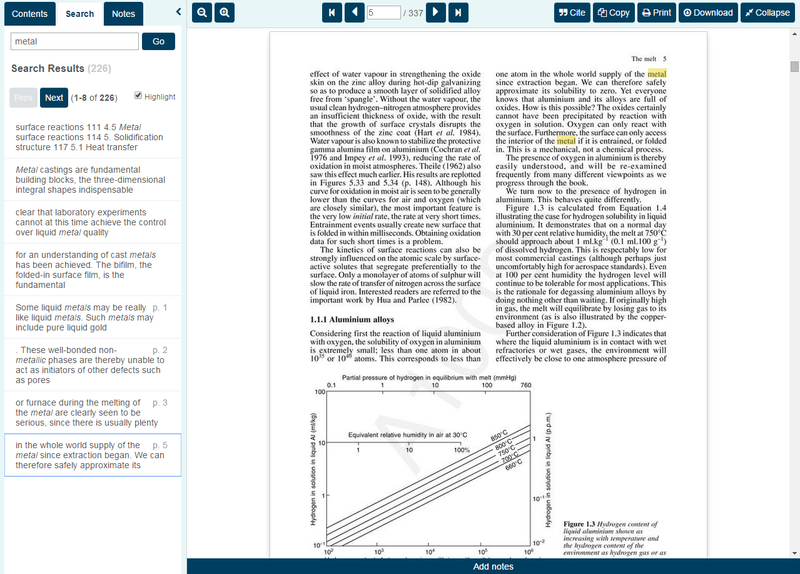 The new platform allows page ranges to be printed. 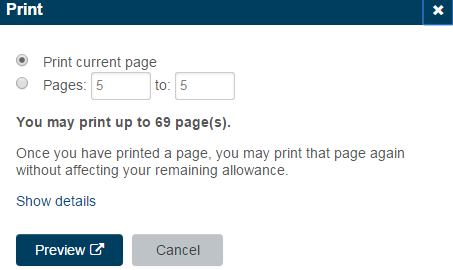 The print screen will also show you how many pages you will be able to print from the title you are using. Dawsonera v5 Online Reader has fully responsive supported mobile and tablet versions, which include all of the same enhancements as the desktop site.